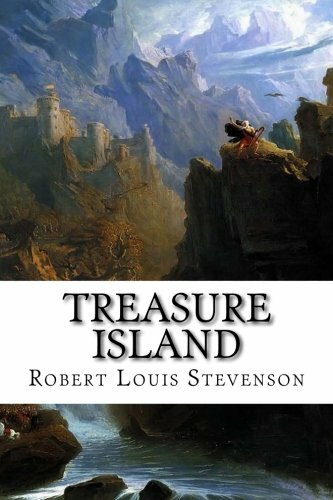 Amazon.com description: Product Description: Treasure Island is an adventure novel by Scottish author Robert Louis Stevenson, narrating a tale of âbuccaneers and buried goldâ. Treasure Island is traditionally considered a coming-of-age story, and is noted for its atmosphere, characters, and action. It is also noted as a wry commentary on the ambiguity of moralityâas seen in Long John Silverâunusual for childrenâs literature. It is one of the most frequently dramatized of all novels. Its influence is enormous on popular perceptions of pirates, including such elements as treasure maps marked with an âXâ, schooners, the Black Spot, tropical islands, and one-legged seamen bearing parrots on their shoulders.